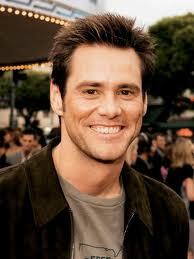 JIM CARREY’S COMMENCEMENT ADDRESS AT THE 2014 MUM GRADUATION AN EXCELLENT SPEECH FOR EVERYONE! AN EXCELLENT SPEECH FOR EVERYONE! “For more than 40 years, Maharishi University of Management (MUM) has pioneered a new approach to learning, called Consciousness-Based education, which supplies a missing element to education. Filed under: Jim Carrey, MAHARISHI UNIVERSITY - IOWA |	Comments Off on JIM CARREY’S COMMENCEMENT ADDRESS AT THE 2014 MUM GRADUATION AN EXCELLENT SPEECH FOR EVERYONE!